Directions: Head to La Défense in Paris, France. The easiest way to get there is by Metro, taking line 1 to La Défense station. 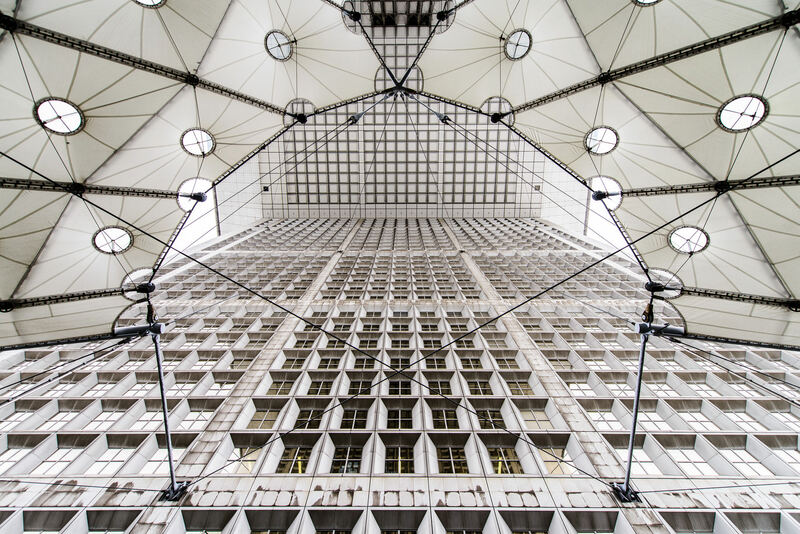 La Défense is a business area in western Paris, It’s full of interesting architecture that is perfect for photography. It gets very busy in the lunch hour (between noon and 2pm) so it’s best to avoid these times if you don’t want people in your shots. The Grande Arche is the most iconic building there. It’s a huge cube that has been hollowed out. From the top of its stairs you can look all the way down the Axis of Paris to the Arc de Triomphe. Tripod use is a bit hit and miss, but unless it’s busy you should get and grief from the security guards.